The 2018 Honda Accord Hybrid delivers exceptional and efficient performance on the road. With an innovative engine and motor system building the bones of the hybrid powertrain, the Accord Hybrid offers the refinement, capability, and power of traditional gasoline engines but with the added benefit of achieving incredible fuel economy. Along with powertrain features and active safety features that work to enhance its performance, the Accord Hybrid is a great choice for drivers shopping for a new sedan. Working alongside an electric motor, the Accord Hybrid utilizes an efficient 2.0L in-line 4-cylinder engine. It offers drivers a dynamic and reliable performance on the road with quick acceleration, which makes trickier driving situations, such as merging onto the highway or passing vehicles, much easier. By itself it will contribute 143 horsepower and 129 lb.-ft of torque to the total system power. 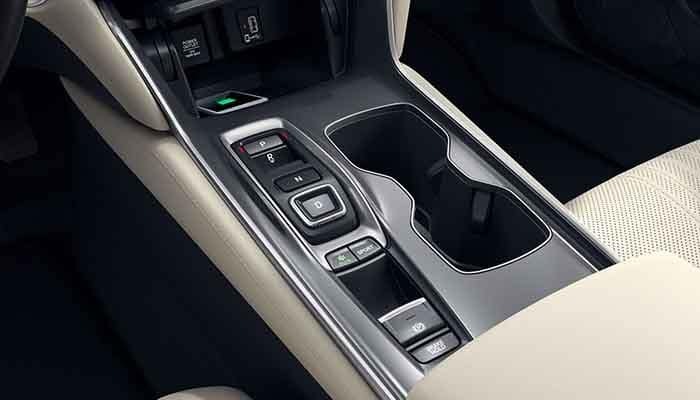 Along with the 2.0L gasoline engine, the Accord Hybrid features an AC Synchronous Permanent Magnet Electric Motor that is powered by a lithium-ion battery. In the 2018 model, the motor is no longer housed behind the rear seats, taking up valuable cargo space in the trunk. Instead, it’s nestled underneath the seats, giving the Hybrid Accord model the same 17 cubic feet of trunk space as all the other Accord models. The motor provides the bulk of the power, producing up to 181 horsepower and 232 lb.-ft of torque by itself. 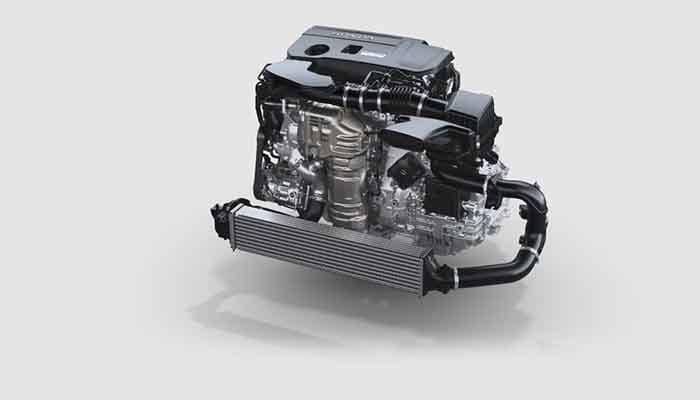 Altogether, the engine and motor hybrid combination achieves a total system horsepower of 212. The powertrain includes a number of features that work to boost the Hybrid’s performance on the road and also assist in day-to-day driving. Working in tandem with the hybrid engine and motor system is an Electronic Continuously Variable Transmission (E-CVT) with Sport Mode and Deceleration Selectors. It transfers the power generated under the hood and delivers it efficiently and unmitigated to the front wheels. And the Sport Mode and Deceleration Selectors not only enhance the Accord Hybrid’s performance, but also makes for a more thrilling and engaging experience behind the wheel. 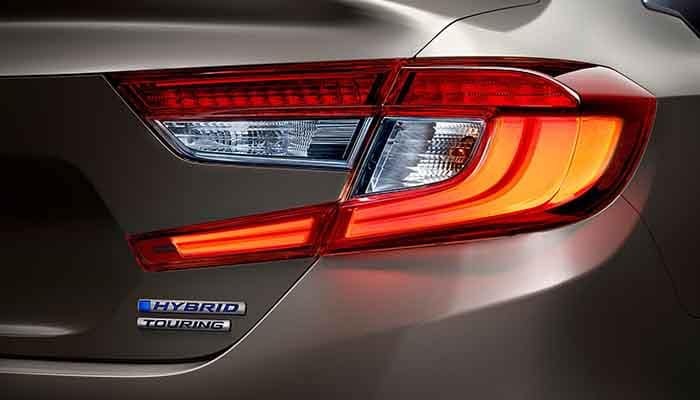 One of the chief reasons to consider choosing a hybrid vehicle is of course achieving incredible fuel economy. Drivers save time and money and are able to drive for longer distances with less visits to the pump. With a fuel tank capacity of 12.8 gallons, the Accord Hybrid has an EPA estimated fuel economy of 47 in the city, 47 on the highway, and 47 combined mpg*. 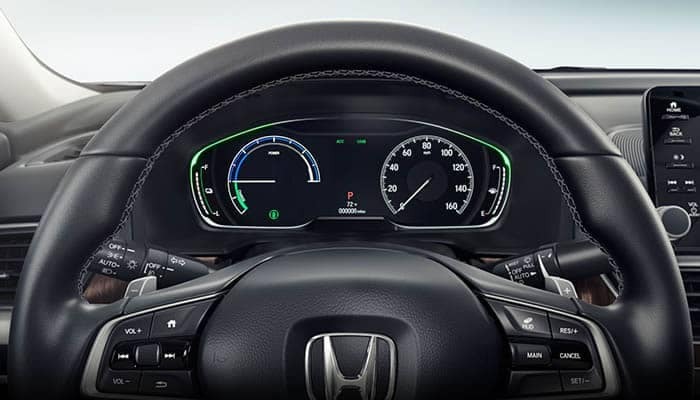 The Accord Hybrid has a deep commitment to safety, offering a long list of both passive and active features, as well as driver-assistive technology that helps prevent or mitigate impacts on the road. The list of active safety features not only work to keep everyone safer, but also ensures that the Accord Hybrid is performing at its very best, despite weather or road conditions. Vehicle Stability Assist with Traction Control – Helps the Accord Hybrid maintain good, tractive control with the road and can stabilize over-steering or under-steering for a better performance. Anti-Lock Braking System – Helps prevent the brakes from locking up, which can cause dangerous skidding on the road. Electronic Brake Distribution – This system electronically varies the amount of braking pressure applied to each of the four wheels based on factors including speed, road conditions, and driver inputs. Brake Assist – Helps the Accord Hybrid come to a complete stop more quickly and safely in an emergency braking situation. Tire Pressure Monitoring System – Monitors the pressure in each of the four tires and notifies drivers when air needs to be added in order to avoid safety risks. LED Daytime Running Lights – Ensures that the Accord Hybrid stays clearly visible to other drivers on the road despite weather conditions. Learn more about the 2018 Honda Accord Hybrid by contacting us or by visiting your nearest Hampton Roads Honda Dealer. Explore current offers and experience the Accord Hybrid first-hand when you sit behind the wheel with a test drive today. *Based on 2018 EPA mileage ratings. Use for comparison purposes only. Your mileage will vary depending on how you drive and maintain your vehicle, driving conditions, battery-pack age/condition and other factors.